In preparing for our family trip to Boston, we watched a lot of the food network. A particular episode of Food Wars featured Regina Pizzeria in Boston, and I just knew we would go there at some point. Since we were there on the same day as other visitors from the South Florida area that we hail from, Lebron James and Dwyane Wade, we just had to get tickets to see Game 6 of the playoffs (thankfully the Heat won the series). 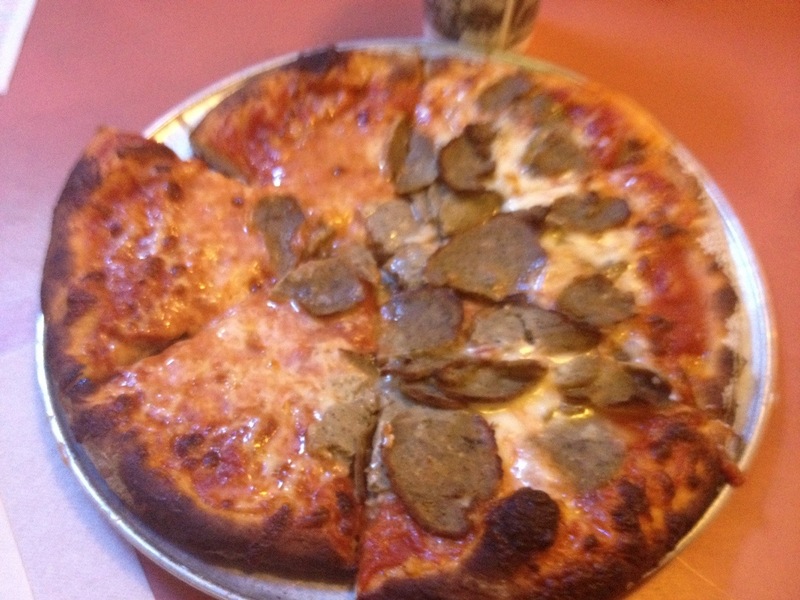 Looking for a place to eat in the north end of Boston, near the Gahden, we decided on Pizzeria Regina. I was a little skeptical at first, because we were seeing Pizzeria Regina's in various mall locations, which as we all know isn't a good sign of quality, but were assured by many people that the original location of Pizzeria Regina remained superb. On any other day, the ambiance would've been perfect. But these four heat fans remained quiet in a sea of Celtic green. The service was gruff, as was typical in a place like this, but I figured that just added to its charm. 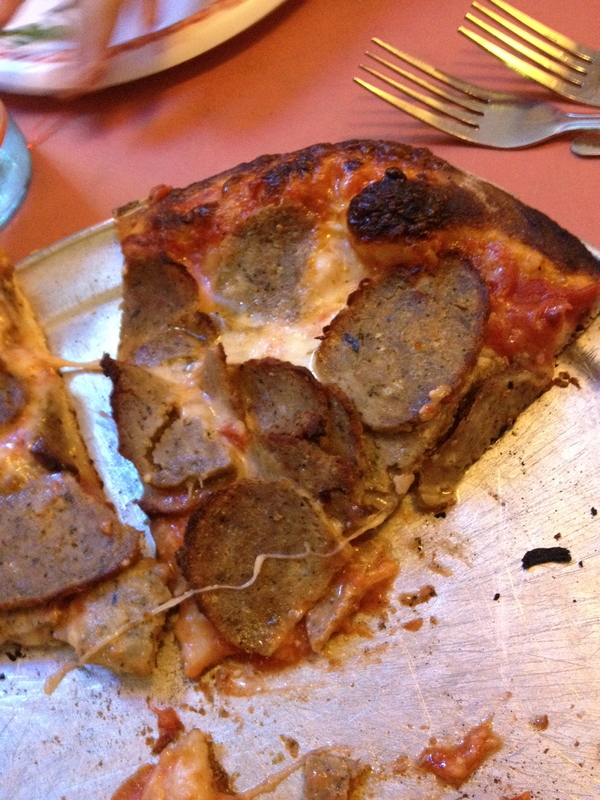 The menu at Pizzeria Regina in Boston consisted entirely of pizzas, with an obligatory salad option. We ordered a white pizza with no basil and Ricotta on only half for my picky son, and a meatball pizza for Princess Pizza Pie. I don't really like meatball pizza, but the things Dads do for their daughters. The pizza arrived, not too quick, but it didn't take long, and from the looks of thing I thought there would be problems. I picked the basil off my son's slice, and tried to take a bite out of mine while still hot. It was delicious!!! I was glad we listened to those who told us the original was amazing. 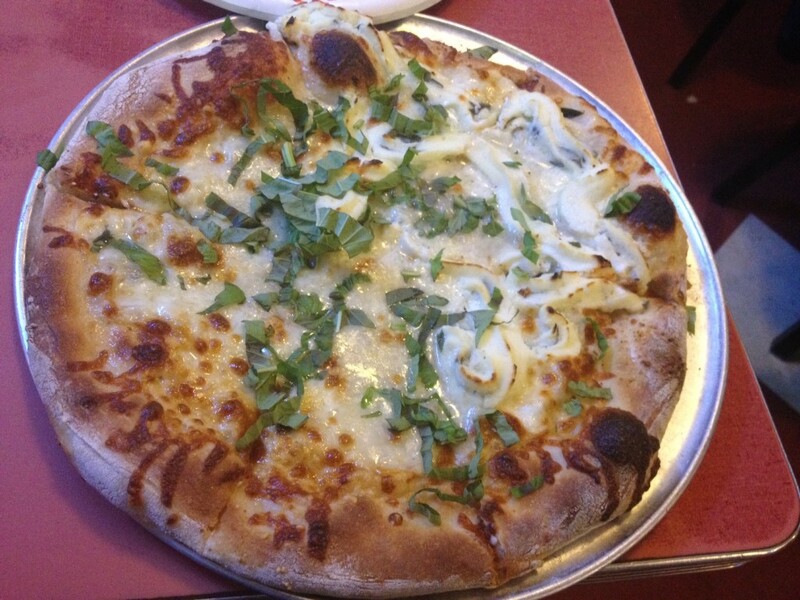 The white pie (with the Ricotta) was fresh, creamy, smoky, yummy. The regular pie also delicious. And the meatballs were dynamite!!! Mrs. Pizza loved the sauce and flavor. Not too thick, not too thin. We were all jealous of the Mike's Pastry (or Modern Pastry) boxes on many of the customers tables. I guess that's planning in advance by those in the know. Amid the Celtics cheers and trying to get the waitresses attention, I tried to explain to the kids about real life, as opposed to the soft life we have in Boca Raton. But I digress. 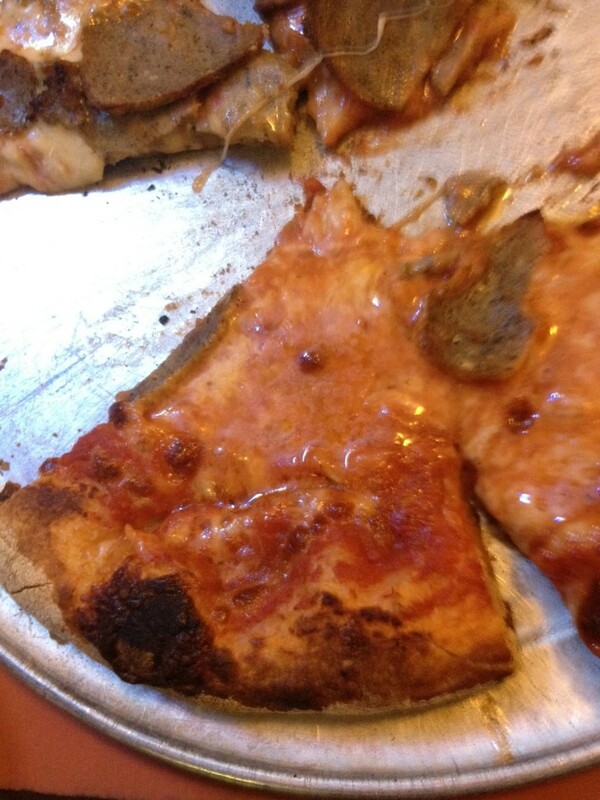 We all agreed on how great this pizza was. Pizzeria Regina in Boston gets 7 out of 8 slices (they lost points for being bad listeners, according to my kids). We then joined all the Celtics fans on a short walk to the game and I enjoyed an evening as a Bostonian.